Customer relationships are at the heart of every successful organization. To deliver high quality customer experiences, you need to not only be collaborating internally within your organization but also engaging in effective customer conversations. 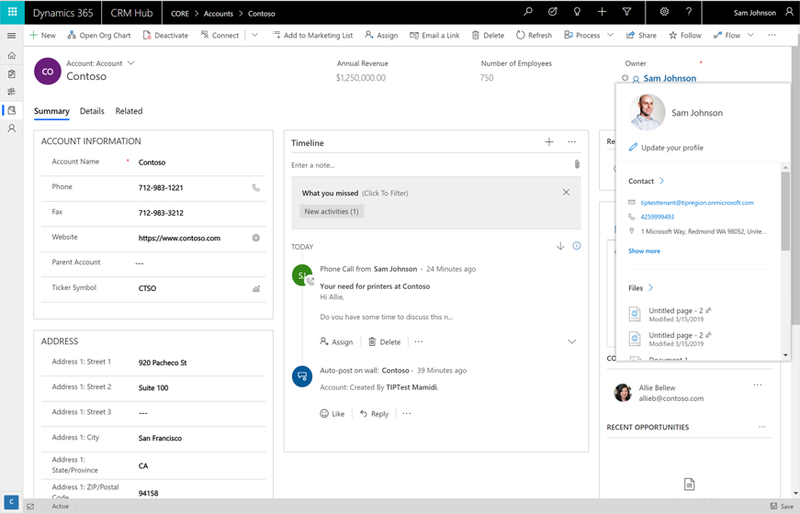 As part of our goal to put people at the center of your experience in Dynamics 365, we are bringing a familiar experience to Dynamics 365’s Unified Interface: Profile cards. 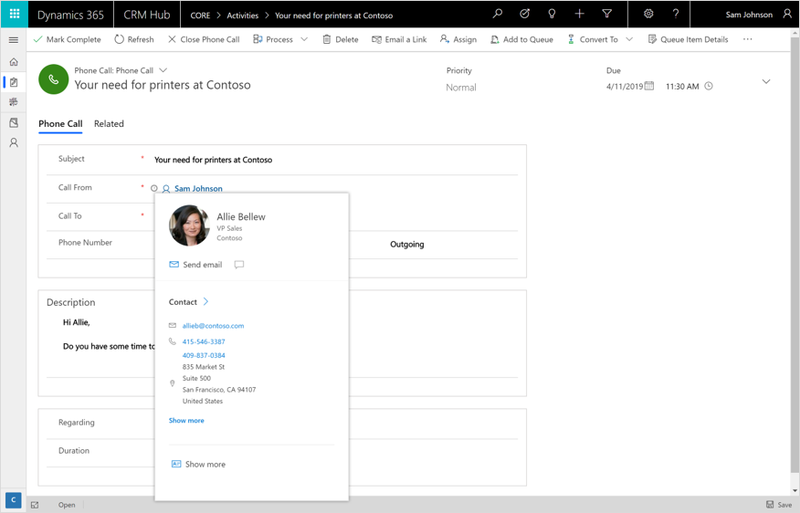 Profile cards exist in Outlook and other Office apps today to help you collaborate with a person, whether they are your colleague or an external contact. They enable you to have their information at your fingertips wherever you are in the Office ecosystem. Starting today, this experience is rolling out for Dynamics 365 so you can take the same actions on your data in Common Data Service within Unified Interface. For more information, see View the profile card for a contact or user.